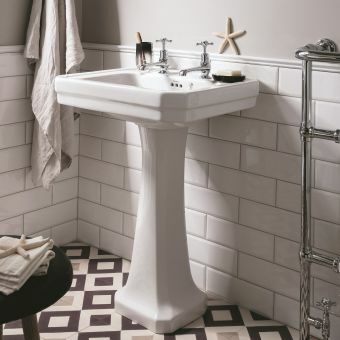 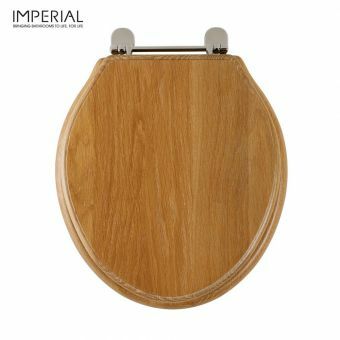 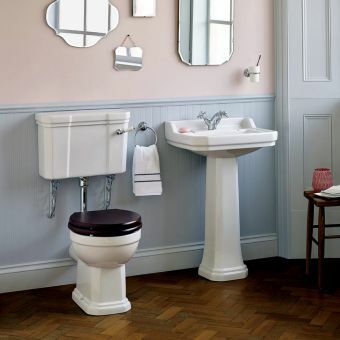 The Imperial Hardwick Stand with Astoria Deco Basinis an elegant base for the bathroom basin, playing with the concept of space and openness to create a real alternative to the typical basin pedestal. 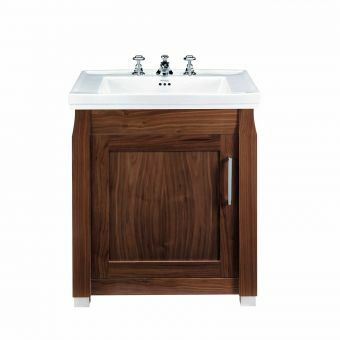 Designed to be combined with the Astoria Deco Large Basin, as a matched unit they provide an exquisite vanity unit or wash area. 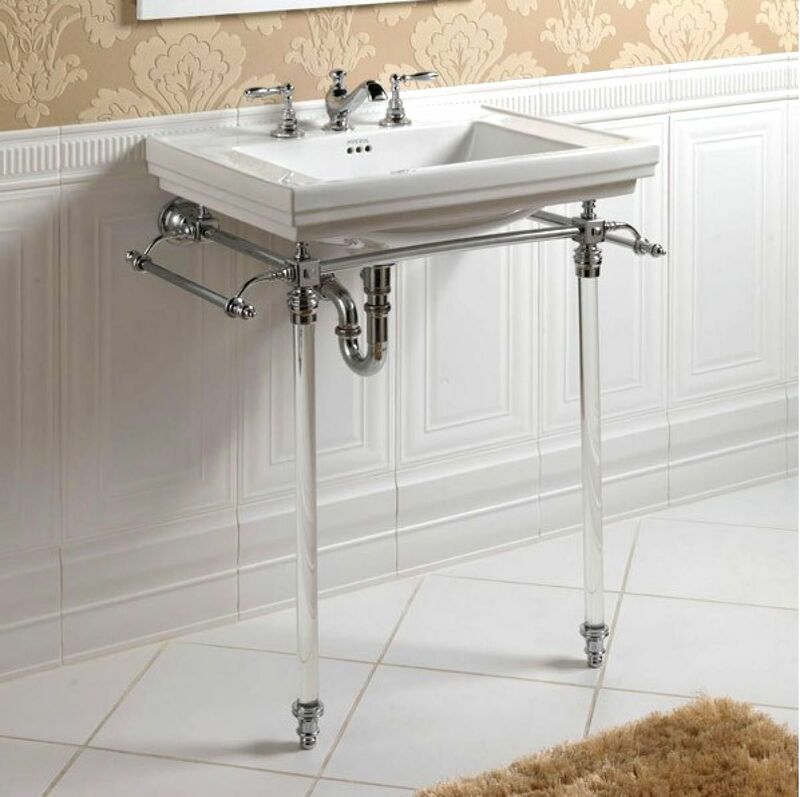 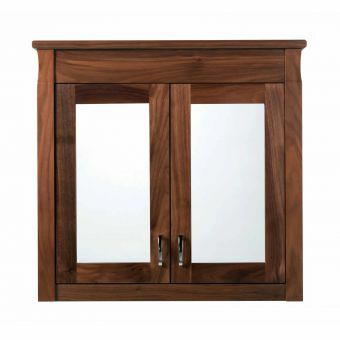 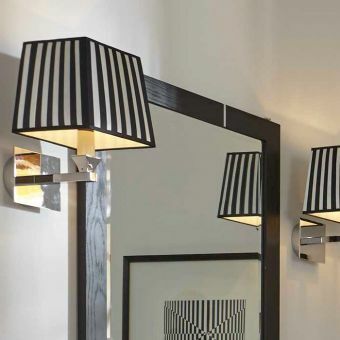 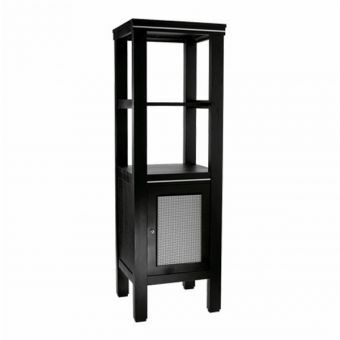 Finely crafted materials form the basis for this unit, as light-catching glass legs and either polished nickel, chrome or antique gold come together to create a finely formed whole. 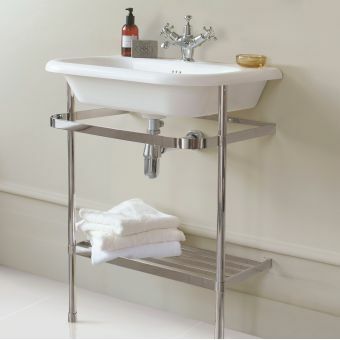 Two attractive towel rails come as standard, their side-mounted position adding a neat flourish as well as essential storage to keep your towels conveniently to hand. 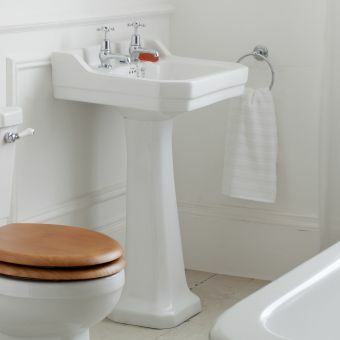 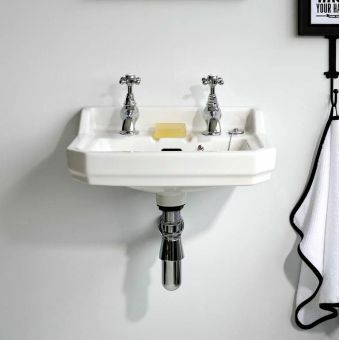 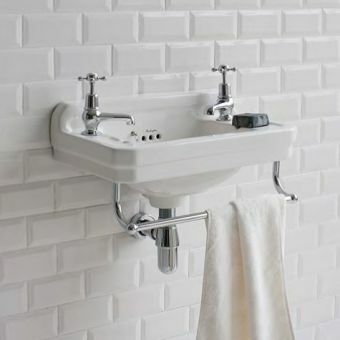 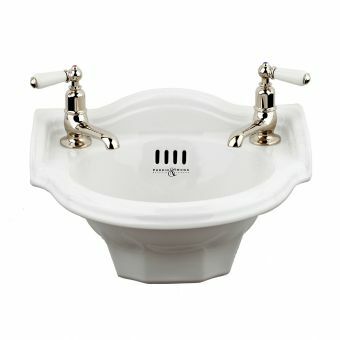 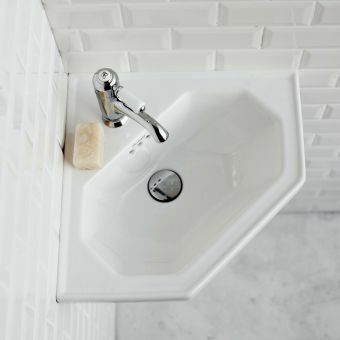 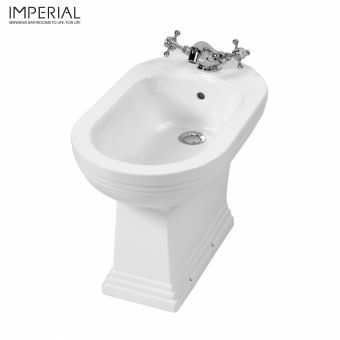 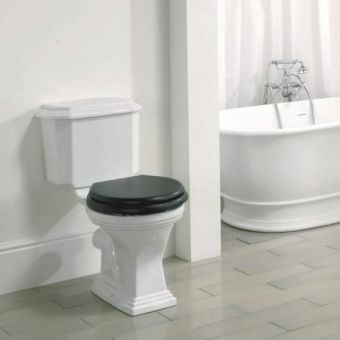 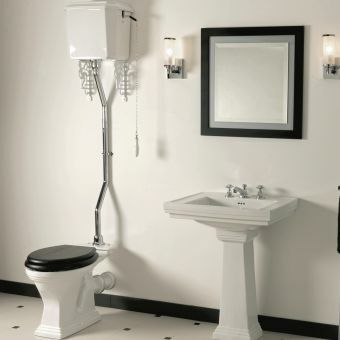 The basin is supplied in a white finish, and is available with 1, 2 or 3 tapholes to suit all brassware needs.